Connecting people with hope the way a sunflower always stands tall and connects with the sun. My first guest, Dee Dee Ferguson, founded Connect4Hope after her mother was diagnosed with non-Hodgkin’s lymphoma in 2017. To give her mom and entire family hope, DeeDee wanted to find and share stories of others who had successfully healed from cancer, but she didn’t know where to turn. 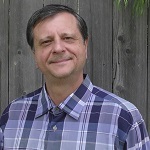 This led her to create Connect4Hope, where she shares stories of people who have successfully conquered terminal illness, in order to provide hope and inspiration to others. Through Connect4Hope, DeeDee is striving to unite people facing common challenges by eradicating fear and replacing it with hope. Her goal is to provide a virtual bridge to connect and support people in common situations worldwide and empower them with positivity, optimism and inspiration so they can survive their current health crises and thrive. DeeDee grew up in a tight-knit New England community, which provided her with a great appreciation for relationships and the natural way people come together to support one another when challenges occur. Prior to discovering her true calling, she earned a bachelor’s degree from the University of Notre Dame, a master’s degree from Columbia University and worked in Corporate America for 20 years. She is passionate about holistic health and is devoted to reading books on wellness and spirituality. Now she is combining her entrepreneurial spirit with her passion for community and well-being to be of service to others and bring much-needed hope to this world. Timothy Murray-Musician–Testicular Cancer Survivor is a minimalist electronic composer based out of Los Angeles. He currently performs with his partner Anna Wallace in the experimental duo called Holy Pink. 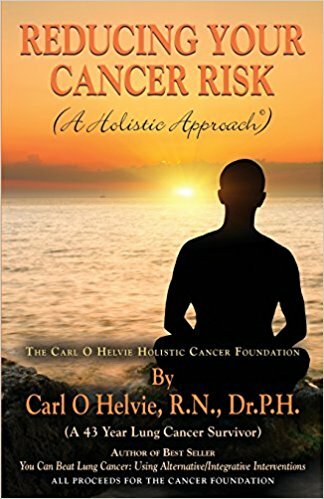 A link to a recent review of Reducing Your Cancer risk: A holistic approach written by Ken B. Godevenos of Accord Consulting follows. Dr Linda Isaacs Continues the Cancer Treatments She Used with Dr Nicholas Gonzalez. 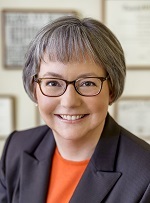 Linda L. Isaacs, M.D., received her Bachelor of Science degree from the University of Kentucky, graduating with High Distinction with a major in biochemistry. She was elected to Phi Beta Kappa. She subsequently received her medical degree from Vanderbilt University School of Medicine in 1985. She completed a residency in Internal Medicine at the Department of Veteran’s Affairs Medical Center at New York University Medical School. She is certified by the American Board of Internal Medicine, most recently completing recertification in 2011. Dr. Isaacs worked with her colleague Nicholas J. Gonzalez, M.D., for more than twenty years, using a nutritional approach for treating patients diagnosed with cancer and other serious degenerative illnesses. After his untimely death in July 2015, she has continued with the work they shared. The treatment involves diet, which varies from patient to patient and can range from almost exclusively vegetarian to one that is heavy in animal protein and fat; individualized nutritional supplement protocols, which include large doses of pancreatic enzymes; and procedures such as coffee enemas that help the body rid itself of metabolic wastes. In 1999, Dr. Isaacs and Dr. Gonzalez completed a research study in patients diagnosed with pancreatic cancer: the results were published in the peer-reviewed journal Nutrition and Cancer, showing survival well beyond what is described in the medical literature. 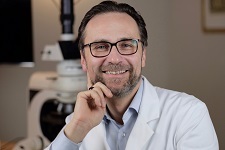 They also published a series of case reports in the peer-reviewed journal Alternative Therapies in Health and Medicine, and co-authored the book The Trophoblast and the Origins of Cancer. Dr. Isaacs wrote the article “Deciding to Pursue an Alternative Cancer Therapy” to help prospective patients sort through their options; it is available on her website at https://www.drlindai.com/pursuing_alt_ther.html. Visit her website at DrLindaI.com to learn more about her treatment and review the application process to become a patient.